Helps fund safe pregnancies & child births. Fun for the classroom, home, or travel! 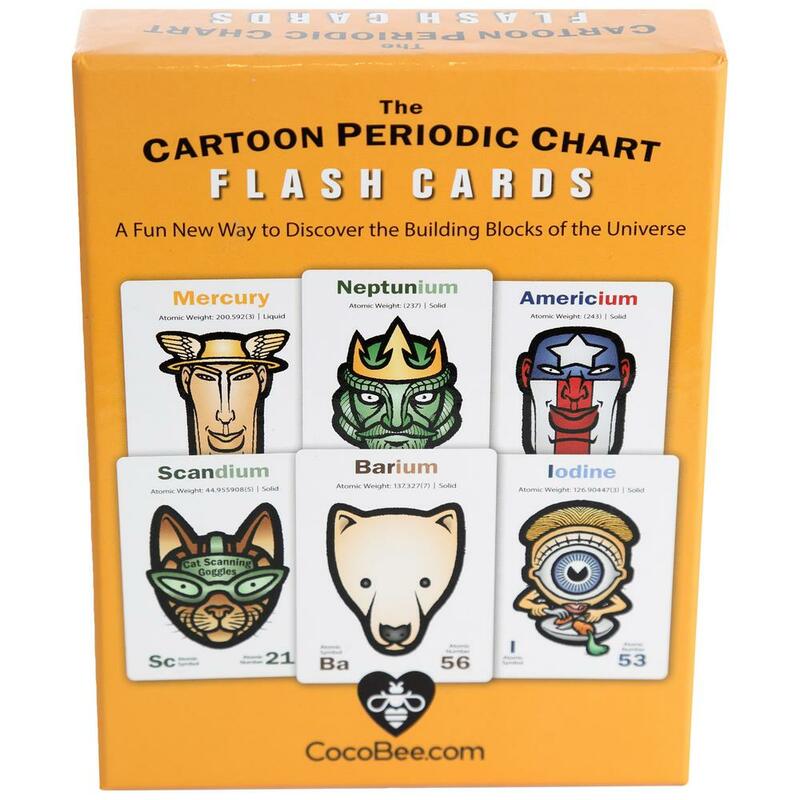 Learn the periodic table of elements in a creative and memorable way with the Cartoon Periodic Chart Flash Cards from Cocobee. Each of the 59 double-sided laminated jumbo cards includes a cartoon illustration, element name, classification, atomic weight, symbol, and number.